Wyatt King is a member of the Lebanon, Oregon Optimist Club and because of him, five others are members, too. He's shown here with his five-member sponsor pin, a thank you from Optimist International for sharing optimism with others. I suspect that Wyatt's enthusiasm has encouraged others to be part of the Optimism movement in Lebanon. 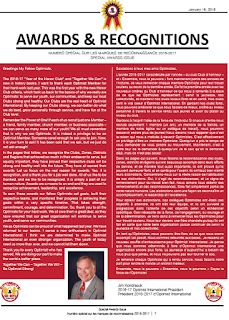 As the social media director for the Lebanon Optimists, he posts about what happens at club meetings, in real time on Facebook and on the club website, and shares information about how the Optimist Club and its members can be a part of making the community a welcoming, business-friendly, and growing place to live. The Lebanon Optimist Club and he are looking forward to welcoming the PNW District Optimist Clubs to the District Convention, August 9 - 11, 2018. Save the date and we will publish more information when available. Thanks for sharing optimism, Wyatt! As president, Jim Kondrasuk declared the 2016-2017 Optimist International administrative year to be the Year of the Honor Club. In the Pacific Northwest District, three Optimist Clubs completed the challenge. 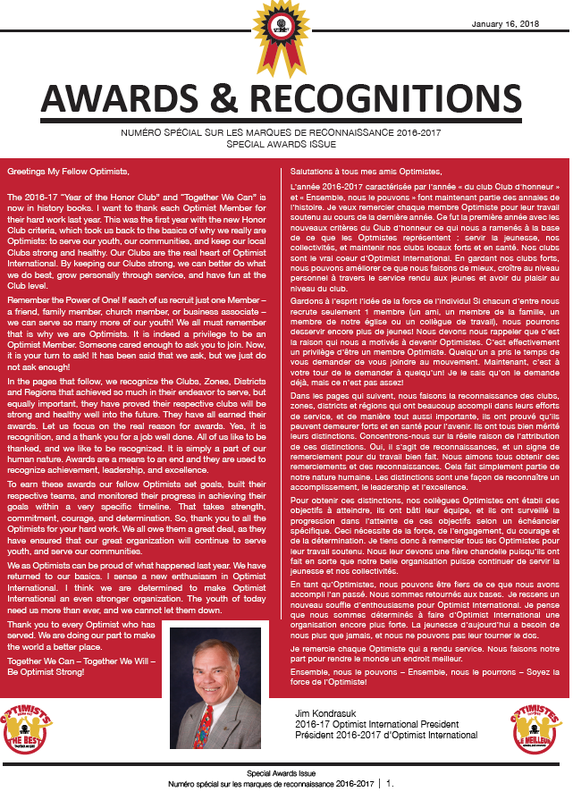 You may read the complete 2016-2017 Awards & Recognition hotline here. Congratulations to the home clubs of the 2016-2017 district governor, district secretary/treasurer, and regional vice president for their achievement. 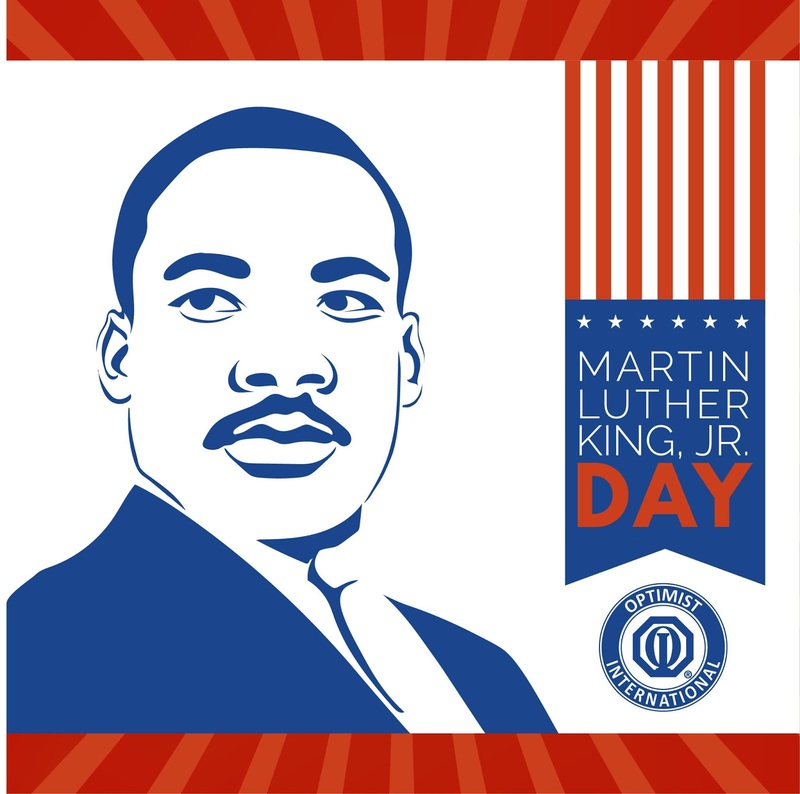 Today is January 15, 2018, the National Day of Service and the day we recognize the birthday of Martin Luther King, Jr. As a nonviolent activist, Dr. King moved the civil rights movement forward in America; however, it seems to me that his words and wisdom were not widely accessed until gathered upon the wave of social media. Tweet after tweet, and Facebook post upon Facebook post, and articles, followed by more articles plus posts, like this one, share a sentence or two designed to make us all better people. I chose the top quote for a reason because I am encouraging membership in an Optimist Club. Service clubs, such as Optimist Clubs, are not as prevalent as they were in the 1960s, during Dr. King's time. Service clubs have been replaced by government programs and church outreach, among other things; however, the service club model is not dead. Far from it. In nations that are building infrastructure and influencing self-determination, the service club model still flourishes. Optimist Clubs, Rotary Clubs, Lions Clubs, and others, help individuals find common purpose and share common values. Some first world countries serve as mentors to the third world countries that are finding their way. Life is truly about finding one's mission and sharing optimism, sharing the love. It's not really that hard to imagine that our local communities need optimism and love too, is it? That's why we invite you to be involved with an Optimist Club. Join an Optimist Club and make a difference in your life as you give service to your community on the National Day of Service and throughout the year. 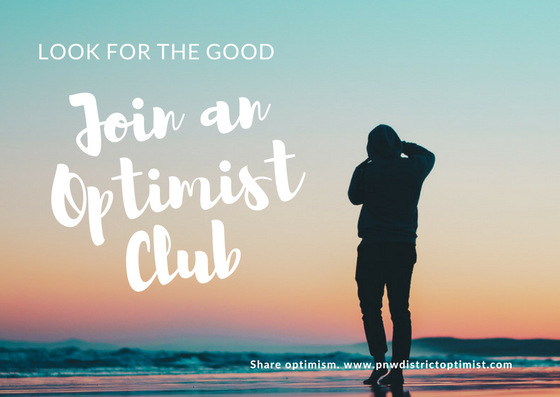 Click here to find an Optimist Club near you or send me a note Linda Vaught and I'll help you start a new Optimist Club in your community. Did your Optimist Club make a New Year's resolution? Did you, as an Optimist Club member, make a New Year's resolution? I recommend taking time right now to resolve to share optimism by talking about membership in a positive way. Please read on to discover this month's retention and recruitment tip. Recruitment and retention tip #53: Resolve to talk positively about membership. As this tip is being posted in January, it’s easy to talk about resolutions; however, resolutions may be made at any time and in order to follow-through, one must be frequently reminded that they have resolved to do something. The same is true for membership in any club or association. Because we know that we want to add members to our Optimist Club, we should talk about what it does and how good it makes us feel so that others will become interested in joining the cause. Our positive conversations improve membership recruitment and instill the pride that we need to retain those members we already have. Don’t forget to celebrate #OptimistDay, every year, the first Thursday in February. Oh, to heck with that! Celebrate by being proud to be an Optimist every day. This Optimist Creed pop-up banner can be yours! 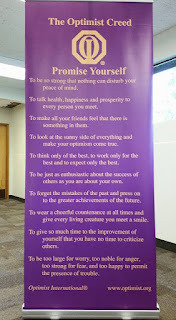 Who doesn't need a pop-up Optimist Creed banner? Every Optimist Club needs at least one, and that is why Optimist International's second quarter membership incentive will provide one to you for recruiting seven new Members into any adult Optimist Club between now and March 30. Get busy and add three new members in January, three new members in February and three new members in March and your Optimist Club will score not only a new banner, it will also be well on its way to earning Honor Club recognition. Optimist Clubs may also receive a banner for chartering a new Junior Optimist Club in the same time frame. We say, why not do both? If your Optimist Club does not need an Optimist Creed banner, you may choose instead an Optimist International road sign or Optimist International Purposes banner. Most posts on this website are about membership in an Optimist Club, from the projects they perform to the friendships that are made and the impact that is felt by our communities and within ourselves. Some posts are about growing our clubs and thereby our clubs' services and some posts are about communicating with the team to facilitate that growth. 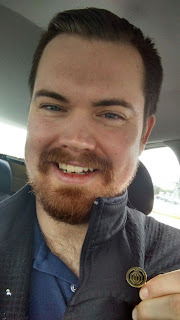 This post is about both: membership growth and communication. 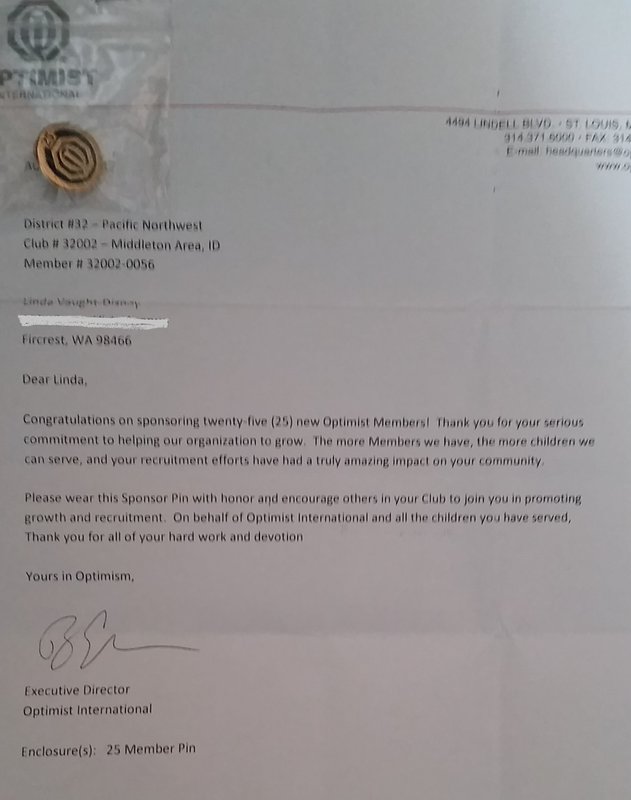 You see, in June 2017, I sponsored my 25th member into an existing Optimist Club since moving to the PNW District-Optimist International. That number does not include persons I have recruited who joined new Optimist Clubs and for some reason, my sponsor record from the Illinois District-Optimist International is not included. Anyway, sponsoring 25 new members into existing Optimist Clubs is a pretty fair contribution to our organization and that is why Optimist International awards a member sponsor pin at this level. It's an accomplishment that should be shared with others, both as a thank you and an encouragement. When I was PNW District Governor in 2009-2010, Membership Chair Lorraine Coots emphasized how important it is for us to recognize those who recruit others to membership. She said, "Put them up front because someone in the back row may say 'I can do that' and at the next meeting, we'll see them in front being recognized too." I wasn't recognized at the convention in August 2017 for my contribution. I did not attend the first quarter meeting in October 2017, so I was not recognized there either. But randomly, I received a Christmas card from a lady in Oregon (I live in Washington) who had attended the first quarter meeting. 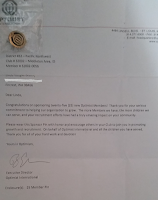 Inside the card was the 25-member sponsor pin, a thank you letter from Optimist International, and a note from the sender that read, "Found this in things I had from Kennewick - don't know how? Congratulations - well done!" Many thanks to Judi Van Cleave for taking the care that apparently the Immediate Past District Governor did not wish to take. As I say in most of my posts, this is not about me or my feelings. It is about communication. As an organization, we must celebrate the behavior that we want others to emulate and acknowledge behavior that we want to discourage. What happens when members are recognized for recruiting other members? Our Optimist Club grows. Optimist International grows. What happens when people go unrecognized for their service? More often than not, they move on to where they are appreciated. If we want members to recruit new members, we must talk about it and any chance to do so furthers the mission. This is a reminder to talk about membership growth within your Optimist Club and your District. Use every tool available to spread the goodness of optimism and remember, sometimes that begins with a thank you. If you would like to join an Optimist Club or start a new Optimist Club in your community, I would love to help you connect. Please send a note and we'll get started. Don't be fooled! We know - we hope - that you celebrate being an Optimist Club member every day. However, for the second year, Optimist International is encouraging all of its clubs and their respective members to show their pride on one, unified day and that day in 2018 is February 1. 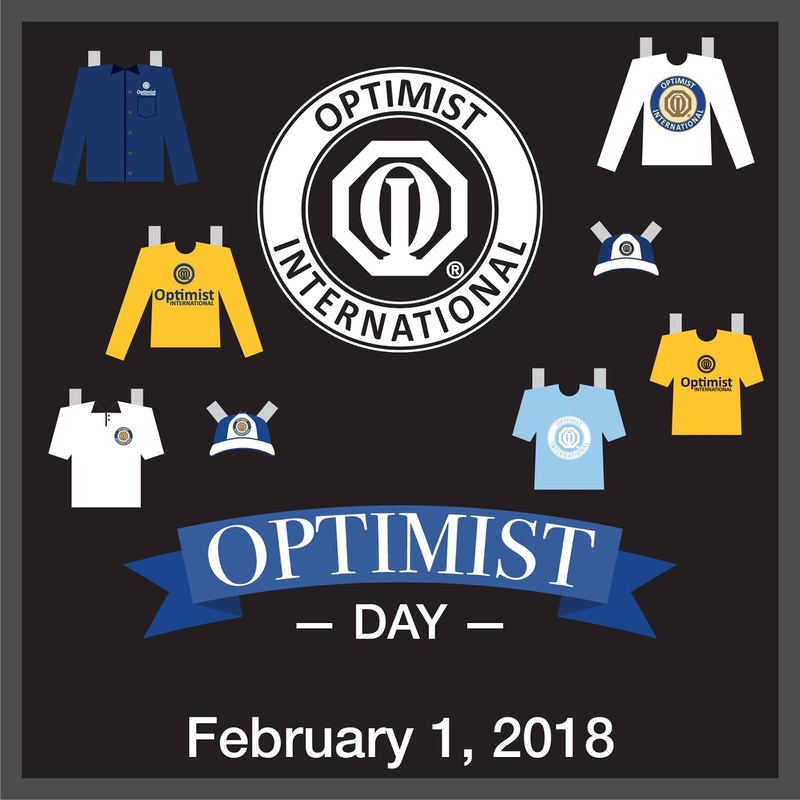 The purpose of #OptimistDay, according to Optimist International, is to promote the mission and values of optimism to the public by wearing Optimist gear. I think it is much simpler than that. It is about showing our pride by wearing our colors, shirts, hats, pins and other accessories. That helps Optimist Clubs and Optimist International gain awareness so that our colleagues ask, "Tell me more." That is when it is your opportunity and responsibility to let others know what your Optimist Club does to bring out the best in youth, community and ourselves. It is more than wearing an octagon on our chest or sleeve. Being an Optimist Club member is about carrying compassion in our heart, service in our hands, and positive thoughts in our mind. Being part of the Optimist movement means we #shareoptimism with others, with the world. Please join Optimist Clubs in the Pacific Northwest and around the world in celebrating #OptimistDay February 1, 2018. Wear your Optimist gear and take pictures. 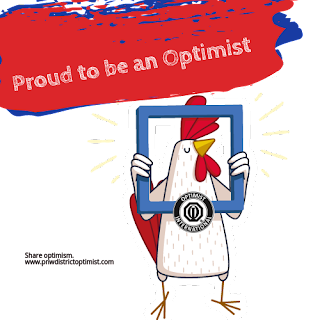 Then, share your pictures on Facebook, Twitter, Instagram, and other social media platforms with the hashtag #OptimistDay. Don't forget to send us one too to this link: PNW Optimist Clubs celebrate #OptimistDay. Be good. Do good. See good. What's the top resolution that an optimist should make as 2018, the new year, begins? She or he should resolve to look for the good in everything. Who am I kidding? Everyone should make that resolution, and then we would all be optimists. Every day we hear and see news reports of hardship, strife, violence, war, and terror. We hear of disrespect from and at the top levels of our governments. Flowing through our Facebook timeline, the websites we visit, and even on network television, we see stories that make us ask is this real or fake news? It takes a good dose of skepticism to sort through the headlines that find their way into our view. It takes optimism to know the world is better than is being portrayed. The world is full of good people, good projects, and good ideas that when brought to the forefront will make it a better place to live. As a member of an Optimist Club, I vow to do that every day. I promise to think only of the best, work only for the best, and expect only the best. When we share optimism with others, we fill space with positive thoughts and help others see beauty in the world. We block out the negativity. We proactively look for the good. I invite you to do that with me and hope that you will invite others to join you too. Be good. Do good. See good. Share optimism. Be an optimist.